Maestro Bischof, along with Benefit Chair Dorothy E. Yewer, founded an annual concert in 2007 to benefit at risk children from the Edward Williams School in Mount Vernon, NY. The 10 concerts to date have raised over $1,000,000 which enabled hundreds of kids to attend the life altering Children’s Aid Society Wagon Road Camp in Chappaqua, NY. Please visit www.childrensbenefitconcert.org for detailed information regarding the mission and concerts. Growing up in Toronto & Montreal in Canada I knew about the country of Haiti for 2 reasons. The first being that there were many Haitians living in both cities their having emigrated during various difficult political periods. The other was because my parents visited Haiti in 1966 as part of their honeymoon! I grew up listening to their wonderful recollections of the amazing people and country that is Haiti. 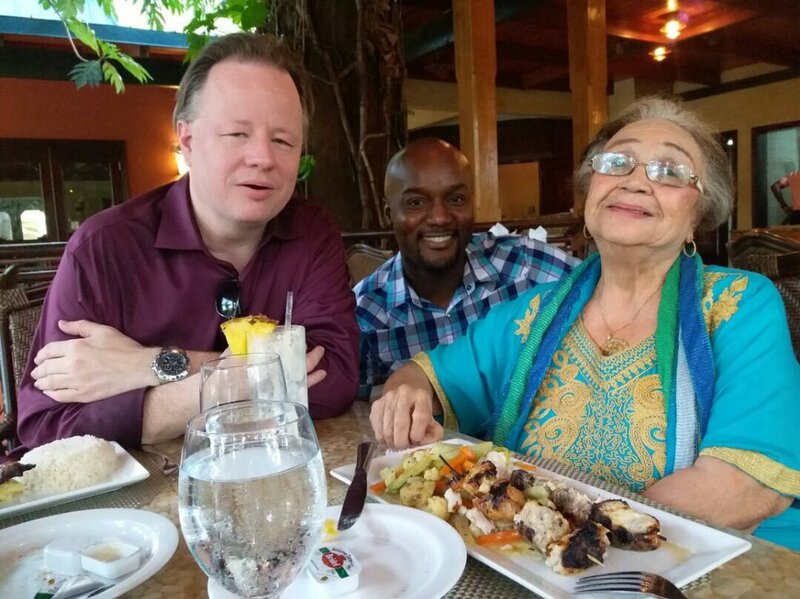 My first visit to Haiti was to attend the April 2013 Episcopal Connections conference in Port-au-Prince. Several friends and colleagues had lived and worked in Haiti and I was eager to find an opportunity to finally discover this amazing country. The conference was a whirlwind of seminars and meet & greets. The highlight was the performance by Les Petit Chanteurs and Orchestra where I met my now dear friend David Cesar. After the conference, I immediately signed up my church to host the final concert in September of their USA tour that year. It was a wonderful triumph both musically as well as financially as over $5,000 was raised for the school. As an orchestral and opera conductor, my greatest musical joy is the opportunity to connect with wonderful musicians around the world. As part of this lifelong journey, I have had the honour of working with the musicians of HTMS on 2 different occasions to date. The first was the Annual Christmas Concert in December of 2015. Working with both the choir and orchestra the week before Christmas was an amazing experience. We rehearsed many long hours on a difficult but rewarding program during a heightened time of festivities in Port-au-Prince. The players welcomed me without any hesitation and were especially kind in including me in the Secret Santa gift swapping dinner. The concert was a triumph in spite of the epic holiday traffic! My 2nd time with the orchestra was for the closing concert of the 50th Anniversary season which took place in November 2017. The St. Cecile concert celebrated the 60th anniversary of Haitian pianist Micheline L. Denis in which we collaborated on Mozart’s Piano Concerto No. 21 in addition to various orchestral works. It was an incredible honour and pleasure to work with such a distinguished and supportive colleague. The audience’s obvious adoration for this Haitian legend was incredibly apparent after her brilliant performance. The players did an admirable job in their role of orchestral accompanists which is not an easy feat especially in Mozart. I am so looking forward to returning to HTMS to work with the amazing students next year. Haiti is now fully part of my musical soul and I will always be a part of the HTMS family. A bientot!